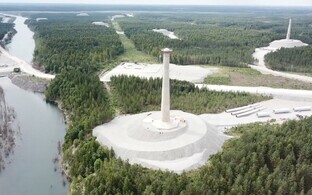 The construction of the Aidu wind farm in East Viru County in the northeast of Estonia, has already had something of a chequered history, with the most recent controversy arising between the developers, Eleon AS, and the Ministry of Defence who have called a halt to work at the site because they say turbines may interfere with their radar. Eleon AS is owned by two brothers, Andres and Oleg Sõnajalg. Andres Sõnajalg recently gave his side of the story to ERR on how he and Oleg have been fighting for their share of the Estonian energy market for some ten years. "The case of the Aidu wind farm is a horrendous example of state-capitalism in the Estonian energy market," says Andres Sõnajalg, with reference to Eesti Energia, the state-owned energy provider. "We were granted building permits in early 2013, and the property itself in 2015, to build the wind farm in Aidu. 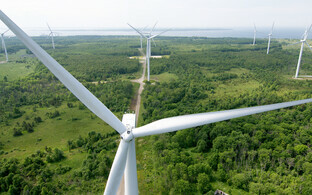 We are currently storing limestone gravel and components which go to of wind turbines on our property. Eesti Energia has found an strong ally in their battle against us – the Ministry of Defence, which is accusing us of harming the national defence capability," Mr Sõnajalg continues, regarding recent developments in the seven-yead Aidu wind farm saga. 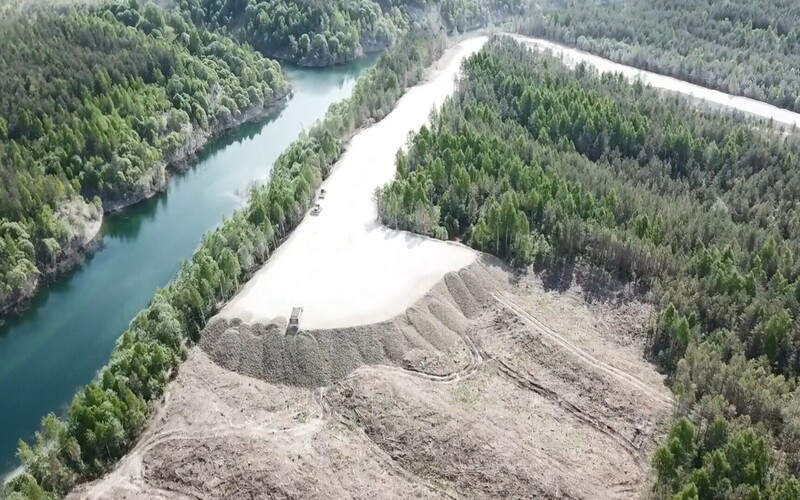 According to the Ministry of Defence who used drones to survey the site in May, the work done with the turbine sections and limestone gravel do not constitute storage, but actual construction work, which had been forbidden. However the case of Aidu wind farm, which the Sõnajalg brothers run via their Aidu Tuulepark OÜ holding company, is only a single chapter in the brother's long attempts to start producing renewable energy on a large scale commercial basis. "It hasn't been easy for us,'' Andres Sõnajalg continues. 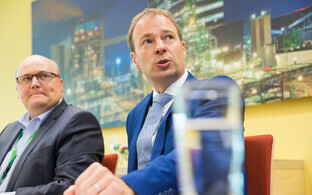 ''Eesti Energia wants to be the single supplier of energy in Estonia. Only a few months ago they acquired 100% of the shares in the leading renewable energy company Nelja Energia, who was their main competitor and whose ongoing projects were also terminated,'' he went on. ''Since we aren't for sale, they are using every trick in the book to try stopping us from going ahead with the wind farm," he added. Mr. Sõnajalg is quite pessimistic when discussing the monopoly acquisition: "After much public criticism of the acquisition of Nelja Energia, the Estonian Competition Authority decided to take extra time to examine the merger,'' he explained. 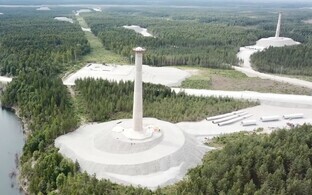 The Nelja Energia takeover was announed in late May to take place via Eesti Energia's renewables subsidiary, Enefit Green, and is the third biggest takeover in Estonian corporate history at €493 million. 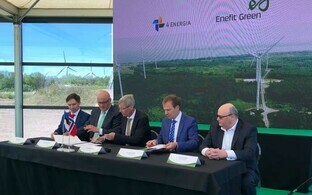 However the deal is still awaiting the green light from the Estonian competition authority, as well as its Lithuanian counterpart, since Nelja Energia operates wind farms in Lithuania too. 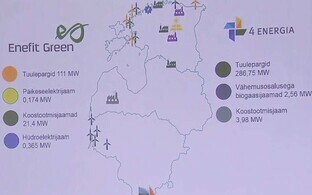 ''When the acquisition goes through, Eesti Energia will have an 84% share of the whole renewable market energy in Estonia. But taking into consideration how amenable different state bodies have been towards Eesti Energia, I doubt that any of them will hinder the deal," he continued. "Believe me when I say that far from this being simply us against Eesti Energia; it is more like us against the state, and we are being treated like enemies of the state at every step we try to take,'' he averred. ''There have been court hearings regarding the building permits granted to us where the court hasn't allowed us to testify, because supposedly we are 'untrustworthy witnesses,' he went on. 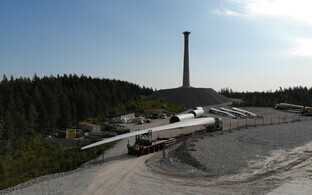 Sõnajalg is nevertheless very optimistic about the future due to 2019's general election and the changes that might bring, and because of an unshakeable confidence in the Eleon wind turbine as an innovative breakthrough in the renewables industry and highly competitive in with regards to efficiency, availability and cost. 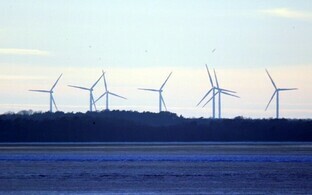 "This globally-patented wind technology has a great future, that's for sure" Sõnajalg said.